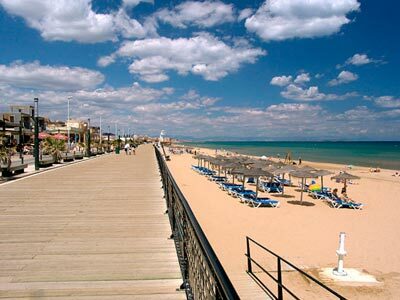 Torrevieja is located in the south eastern part of Spain. It has many great things to offer visitors to the region including great landmarks, sights and culture. Help yourself to explore the town and surrounding areas with ease by taking advantage of Torrevieja car rental. Exploring the city on foot is possible, but you can get to fit in more sights in a short space of time by choosing car hire. You can enjoy visiting popular landmarks in Torrevieja. Visit the Iglesia Arciprestal de la Immaculada Concepción. It was originally established in 1789 and was reconstructed in 1844.They used the stones from the original Torre Vieja, known as the Old Tower, to repair and make some improvements. You can also pay a visit to Paseo de la Dique de Levante, Playa de Los Naufragos, Aquapolis, Water Park and many more. You will surely have a great time exploring the city. Make it easier on yourself while travelling by opting for car hire. You will definitely have a great time roaming and discovering the great places and attractions that Torrevieja has to offer. Travelling in the city will surely make your holiday worthwhile. With the help of car rental, you will have a great time viewing the area with no worries. You will find it very traditional, unique, interesting and beautiful in Torrevieja. Choosing this type of transport for your holiday doesn’t even have to break the bank. Torrevieja car hire probably costs less than you think. It also gives the added convenience of not having to wait for public transport such as buses, which can become packed out at the height of the summer. Everything about Torrevieja is delightful. Whether you are choosing a last minute package deal or are visiting there as a single traveller or back packer you are sure to have a great time. However you choose to spend your time here, whether it is a lot of time exploring, a little time resting or relaxing on the beach, of which there are several beautiful in and around the area you should definitely spend some time mixing with the local crowd in the cafes and bars. Holidays are memories and you want to take back home some of the best memories you can make in Torrevieja. Driving around in the city of Torrevieja with a rental car can be a hassle but not impossible. Its a good way to move around but we advise to have a look at the local traffic rules as they may vary with what you are used to. Take in mind that in rush hour traffic can be pretty dense and it can take longer before you reach your destination. Last month, the average car rental length in Torrevieja was 6 days. The average rental car length in Torrevieja is 14 days. The most booked rental car type currently in Torrevieja is ECONOMY cars. Last year, the most booked rental car type in Torrevieja were ECONOMY cars. How much does it cost to rent a car in Torrevieja? Last month, the average car rental price was 131 USD. Last year, how much did it cost to rent a car in Torrevieja? Last year, the average car rental price was 193 USD. What is the current average daily price to rent a in Torrevieja? Last month, the average rental price was 22 USD per day. How much did it cost to rent a car in Torrevieja over the past 12 months? Last Year, the average rental price was 14 USD per day. The car rental companies available in Torrevieja are: . See below last 5 customer reviews. Our customers rated Torrevieja Car Rental with an average of 0.00 based on 0 ratings.